Here’s to the beginning of Panda Eats London. What better way to kick it off than with a restaurant that has been on my hit list since I heard about their much-lauded steak. Hawksmoor’s usual price point for steak would put it out of reach for me but they deliver an affordable express menu at Seven Dials, totalling at £24 for 2 courses or £27 for 3 courses, which to me sounds like a bloody good deal for steak. 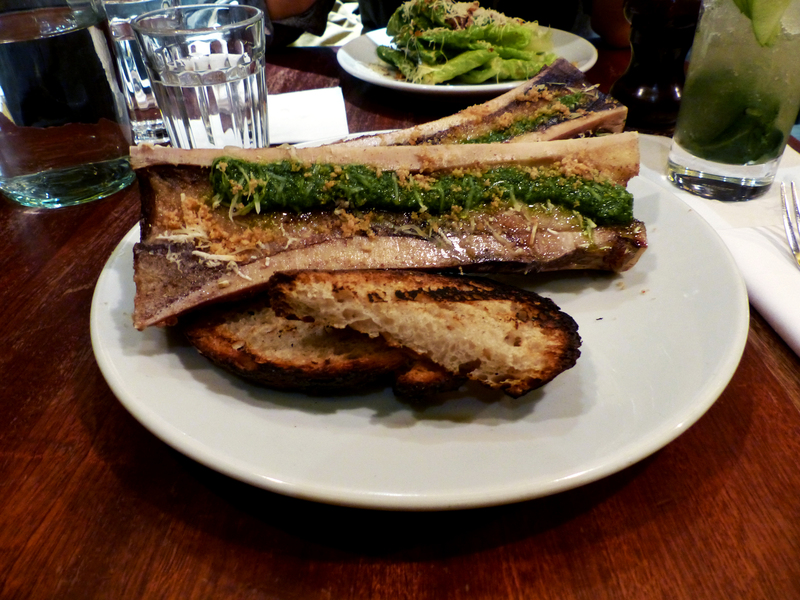 Despite the limited choice on the express menu, which include other treats besides steak, I was actually very interested in trying the Bone Marrow in Green Sauce. This is the second time I’ve had bone marrow, the first being in a fantastic restaurant in Florence called L’Osteria di Giovanni, so Hawksmoor’s had a lot to live up to. The presentation is rustically appealing, caveman-like! Cut longways it looks like you’re getting much more than you bargained for. The marrow was cooked beautifully, rich and full of flavour, but I felt the oiliness of the dressing proved too much towards the last mouthfuls and I feel less toasting on the bread would make it a great accompaniment to soak up all the moisture. Now I hear you ask, where is the photo of the steak! Forgive my amateur blogging abilities for I forgot to take a photo of the main without my dear dining companion. It’s pretty much a piece of steak on a plate, unadorned, just a pure piece of meat heaven on a plate. It was, however, one of the best pieces of meat I’ve had from any restaurant. The steak, perfectly cooked to medium rare, was melting in my mouth! You can’t get much better than that! The Rib-eye is the only piece of beef you can get for the normal express menu price (this seems to have changed most recently to the D-Rump), but it’s a great way to try Hawksmoor “on-the-cheap”. It was my first time having beef dripping fries, I almost expected it to be coming in some sort of soggy, beef dripping mess but what came was a nice hint of taste within the fries. The triple cooked chips also come recommended. I finished off my meal with a Peanut Butter Shortbread, as I’m partial to any peanut butter dessert! It rounded off a very pleasing three courses. 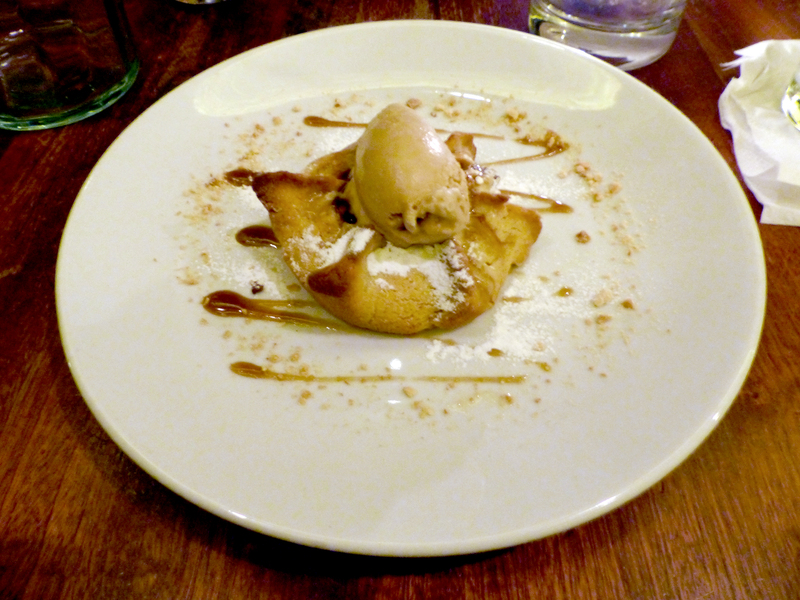 It delivered on the peanut butter, which combined exceptionally well with the flaky pastry and cool salted caramel ice cream, it’s a very British dessert, though it was a little on the heavy side after steak, but then you can’t really fault what Hawksmoor is trying to achieve. Hawksmoor Seven Dials is located just on the edge of Seven Dials so is the perfect location for theatre goers. It has a rather relaxed, almost pub-like atmosphere, especially at the bar area however the decor and the layout of the space allow for more intimate tabling as well. Service throughout the night was adequate, sometimes attentive sometimes lacking. Though absolutely reasonable it’s not somewhere you are going to go for the exquisite service. Overall I’d recommend Hawksmoor Seven Dials to any Londoner looking for a decent cut of steak and whilst The Panda can’t quite afford to go there every day (especially the pricing of the full menu) he would go on multiple occasions when he earns the packet of an investment banker! 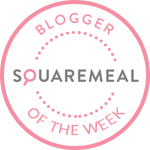 Hawksmoor is a growing chain, they have five branches dotted around central London and a new branch in Manchester as well, for those up north.